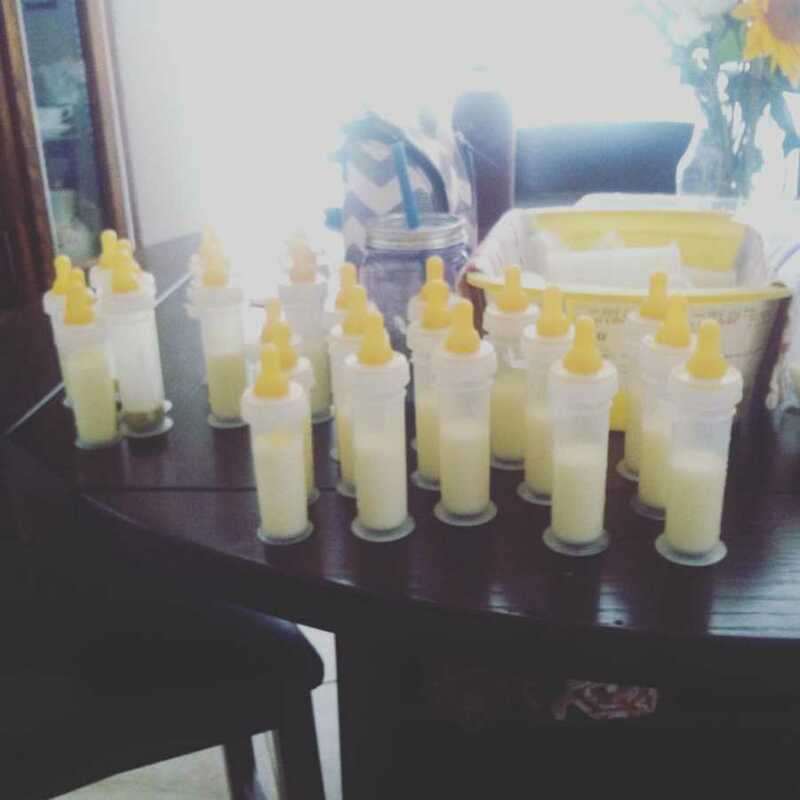 “I was scrolling photos last night when my triplets were infants and came across this photo – of 24 bottles full of breast milk. This is what a FULL day of feedings looked like for our triplets. We fed every 3 hours, and it was exhausting. I breastfed the triplets for 3 months. Miraculously, despite my delivery complications, my body produced enough milk for my three babies. My doctor told me I likely wouldn’t be able to breastfeed after my delivery, yet my body was proving her wrong. 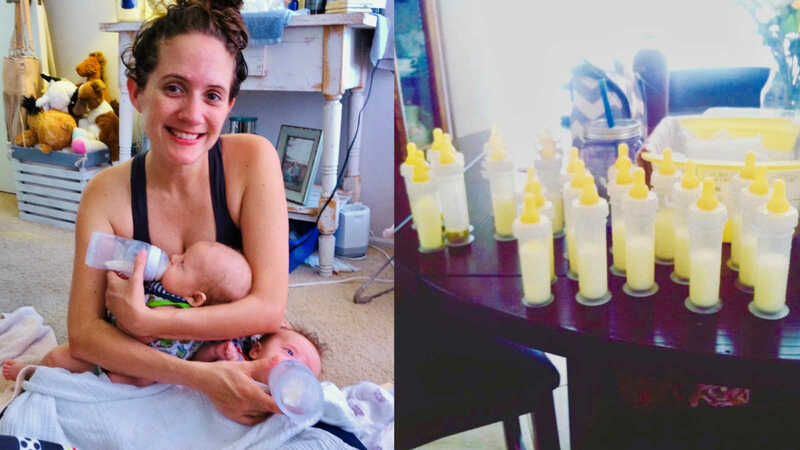 I was so proud to see my body producing milk and even though I really wasn’t sure what to expect out of my breastfeeding journey, I knew I had to try. Unfortunately, breastfeeding was tough for me. 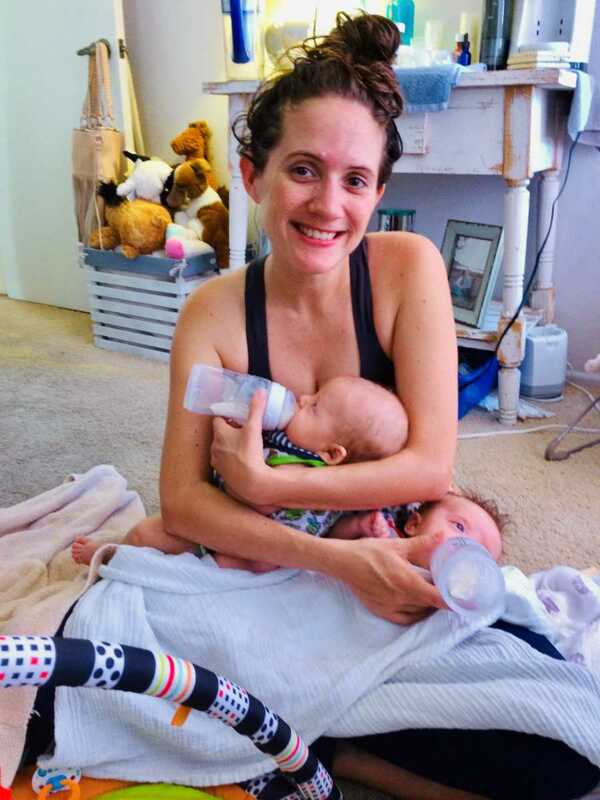 I nursed the triplets for the first 3 months and then relied fully on pumping. Others could help with feedings, which was nice considering I was in a postpartum fog. My postpartum depression and anxiety were pretty heavy, and so was the sleep deprivation. 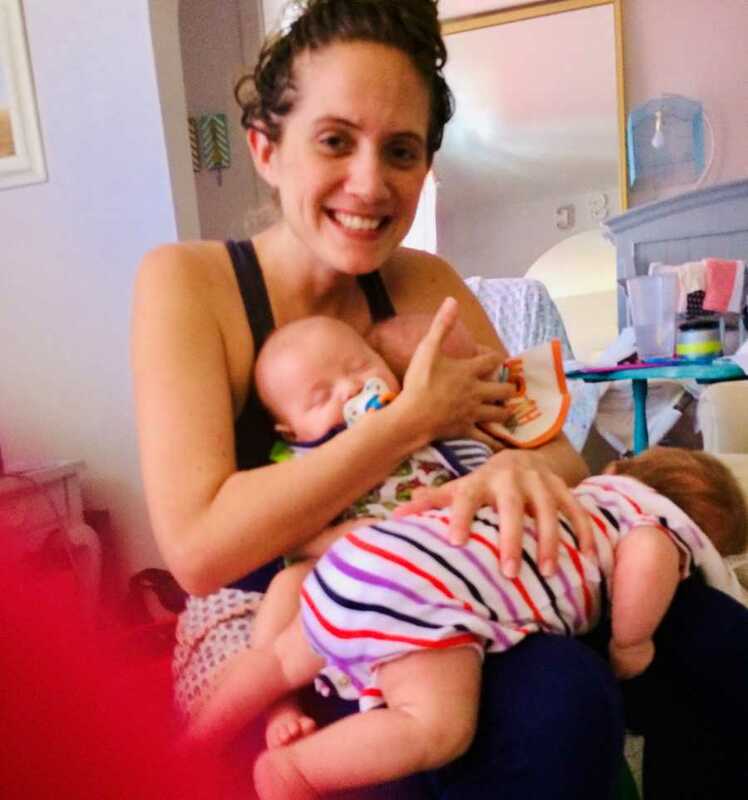 The triplets all had GERD, which is basically severe reflux, and they required individual attention during feedings which isn’t easy when you have triplets. We started feeding every two hours and burped every half ounce to help with their reflux struggles. This seem to be the only answer. That, and time. We tried several medications, which didn’t work. Ultimately, they didn’t grow out of GERD until they were 11 months old. I have such empathy for anyone who has a child with reflux. It can make feedings that much more difficult. Needless to say, feedings were such a continual struggle. I am not sure I can say I experienced the ‘bond’ I often heard of when it came to breastfeeding, but perhaps the ‘bond’ is formed by simply feeding your baby?? Each time I held one of my babies, I cradled them in my arms as they received their bottle. As I gazed into their eyes with lots of love and snuggles, I knew this was our kind of bond. Despite the constant spit up and feeding issues, I was giving them everything they needed. I realized ‘the bond’ I so often heard of wasn’t just about nursing, it was about giving my babies the love and nourishment they needed. The bond was about breast milk and formula, love and cuddles, and moments for us.